Kombucha is a delicious fermented beverage made from sweetened tea. Like milk kefir and water kefir, kombucha contains beneficial yeasts and bacteria that can help improve your digestion and boost your immune system. Even better, however, is the fact that kombucha is very enjoyable to drink! I love that kombucha adds some healthy variety to my drink options. While you can purchase bottled kombucha in health food stores, I highly recommend making your own as the cost savings are huge for a minimal amount of work on your part. If you’ve tried store-bought kombucha before and didn’t find it to your liking, it may still be worth trying to make your own as you can wildly vary the taste of your kombucha depending on what flavoring agents you decide to add after the initial fermenting process is complete. I don’t really care for the taste of plain kombucha, but when I throw in some berries or a slice of lemon I find the resulting concoction utterly delicious. 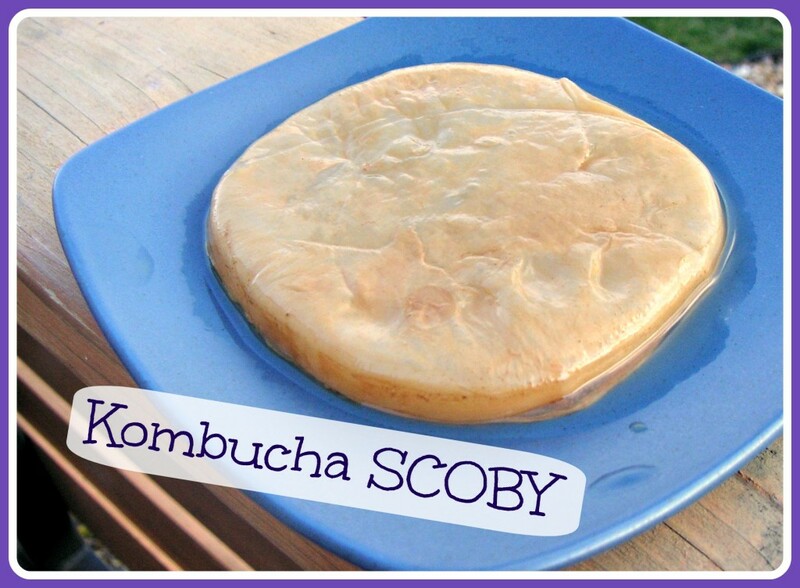 Request a SCOBY from someone local who’s already making kombucha. Each new batch of kombucha generally grows a new SCOBY so regular kombucha makers usually have them available. I suggest emailing your local Weston A. Price Foundation chapter group as one potential resource for finding local kombucha brewers. Buy a SCOBY online. If I had to buy a SCOBY online I would purchase this one. The following ingredients are to brew one gallon of kombucha. (Your finished amount will be slightly less, since you need to save some of the kombucha to start your next batch.) 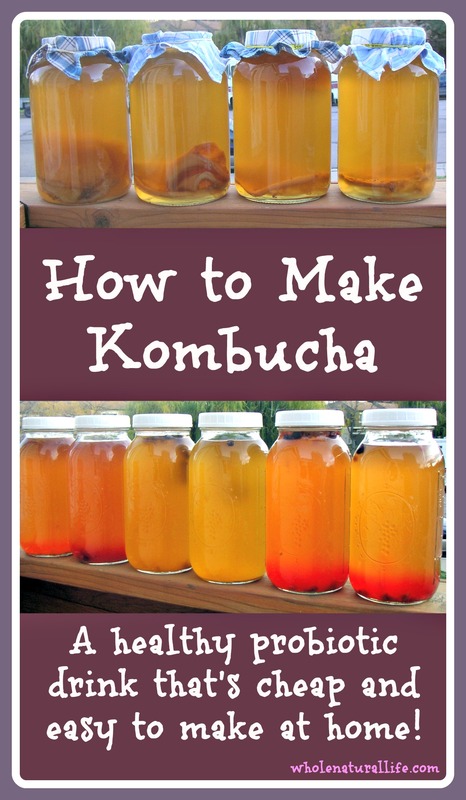 You can easily multiply or divide this recipe to make larger or smaller amounts of kombucha. I usually brew four gallons of kombucha at a time. Put four cups of filtered water into your saucepan or stockpot. Add your loose tea or tea bags. After the tea has come to room temperature, remove your tea bags or strain out the tea leaves while pouring the tea into your gallon glass jar. Add the finished kombucha (from a previous batch or store-bought) to your glass jar. Adding finished kombucha ensures that your new batch of kombucha will brew at a safe pH. Add your SCOBY to your jar. I just move my SCOBY with my (thoroughly washed) hands, but you could use tongs or some other implement if you prefer. Your SCOBY may float or sink—it really doesn't matter. Fill the rest of the jar with filtered water, leaving about an inch of headspace at the top. Cover with a dish towel or something else breathable but tightly-woven enough to keep out fruit flies. Secure your cloth with a rubber band. 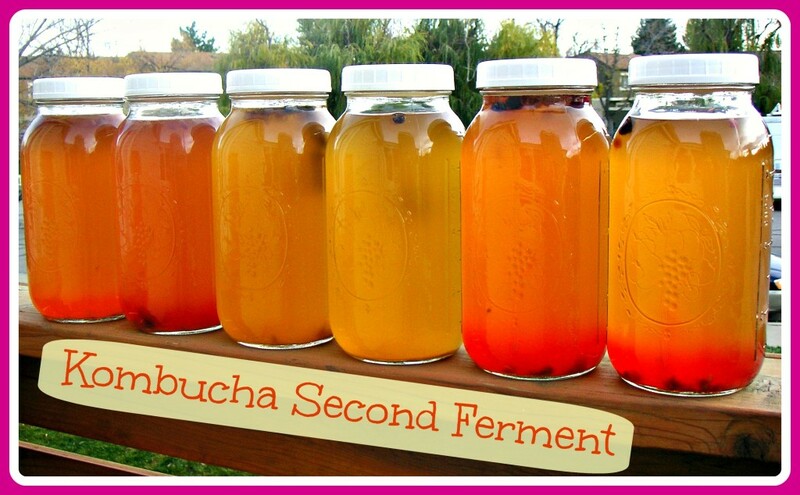 Place your jar of kombucha somewhere out of the way and allow it to ferment at room temperature for 7 to 28 days. The longer you leave it, the less sweet your final batch will taste. When I was on the GAPS diet, I let my kombucha brew for at least 28 days to make sure that most of the sugar had been consumed by the SCOBY. These days I just make a new batch when I run out of my previous batch, usually after about two weeks or so. Experiment to see what length of brew time you prefer. When you're satisfied that your kombucha is done fermenting, remove the SCOBY and at least two cups of kombucha for every gallon-sized batch that you want to make next time. I find it easiest to remove the SCOBY and the two cups of kombucha at the same time I'm starting my next batch, but you can also store your SCOBY in the two cups of kombucha on your counter or in your fridge in between batches. Once you have removed the SCOBY and two cups of kombucha for your next batch, the rest of the kombucha is yours to drink at will. If you want to change the flavor or your kombucha, keep reading for directions on how to do a second ferment. If you like the flavor of your kombucha as is, you can skip the second ferment and just store your kombucha in a lidded glass jar at room temperature or in your fridge. A second ferment can dramatically change the flavor of your kombucha–and when it comes to choosing flavoring agents, your options are pretty much endless. Try different combinations of fruit, herbs, and spices to see what you like. Personally I am very fond of strawberry kombucha and raspberry kombucha. To do a second ferment, just add your selected flavoring agents to your kombucha and cover with a tight-fitting lid. 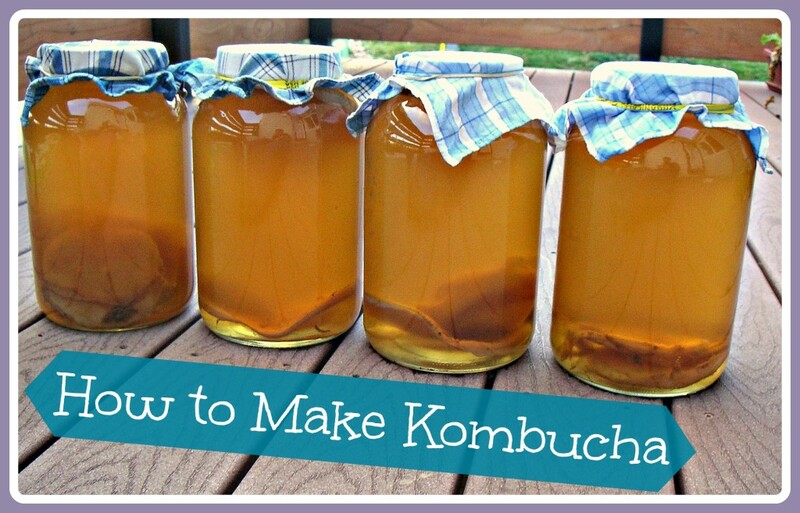 Allow the kombucha to ferment for a couple days or so before you begin drinking it. At this point you can remove your flavoring agents or just leave them in. Store your kombucha in your fridge or at room temperature. If it takes you more than a few days to drink your kombucha, it will start growing another SCOBY. This is perfectly fine–just discard it if it gets in your way. Kombucha will continue to ferment even after the SCOBY has been removed, so the flavor becomes more and more sour over time. I usually just add some water to any kombucha that I find too sour for my tastes. You can also try using it in place of vinegar in recipes like salad dressing. Looking for More Fermented Food Recipes? If you’re looking for more fermented foods to add to your diet, be sure to check out my posts on how to make kombucha, how to make water kefir, and how to make Instant Pot yogurt. All of these fermented foods will help you get even more beneficial probiotics in your diet. Hi there, thanks for this great post!! i thought i needed to buy an expensive fancy brewer to attempt this. I just have one question. Do you end up with 2 SCOBY`s in your jar? You said that each batch grows one, AND you said that you put one into the jar with the sweet tea. Also, is this considered a caffeinated beverage? Yes, each batch usually grows a new one. It's sort of attached to the old one--you can peel it off, or I often just leave it and put it into my new jar with the old SCOBY. Up to you. As for the caffeine, I'm not sure. I suppose it depends on what type of tea you use. super helpful! thank you meghan...i cant wait to give it a try! I'm pretty new to brewing Kombucha, but researched extensively prior to attempting my first brew. I learned that the SCOBY digests the caffeine and most of the sugars, which is how the SCOBY grows. End results: NO caffeine, A Little sugar. Hope this helps. Not sure if I put this in the right section, would like to know if you can use honey or local made maple syrup in place of the sugar? Have you tried or will it not ferment as well? You can use honey, agave or organic cane sugar when brewing Kombucha. Taste will vary slightly, but I recommend you use your favorite sweetener to produce the best Booch (for your taste). If you decide to brew with Green Tea and Honey or Agave, the finished Kombucha product is called "Jun" (June). Jun is considered the "Champagne of Kombucha" -cheers! Great recipe. I've been into kefir for a while, and I've been looking for a way to try kombucha. Question - do you know if this works without sugar, or if there is a sugar-free option? I'm pretty sure you need to use sugar, since the sugar and tea are food for the kombucha SCOBY. You *might* be able to use an alternative sugar (like honey or coconut sugar) but I've never tried it so you'd have to do some research on that. According to another comment, the SCOBY digests most of the sugars, which is how the SCOBY grows. So you do need sugar to create it but the end result is very little sugar. Hope this helps. Can you cut Scoby in half and do two half gallon jars? I only have half gallons. I've never tried that, but I think it would probably work.